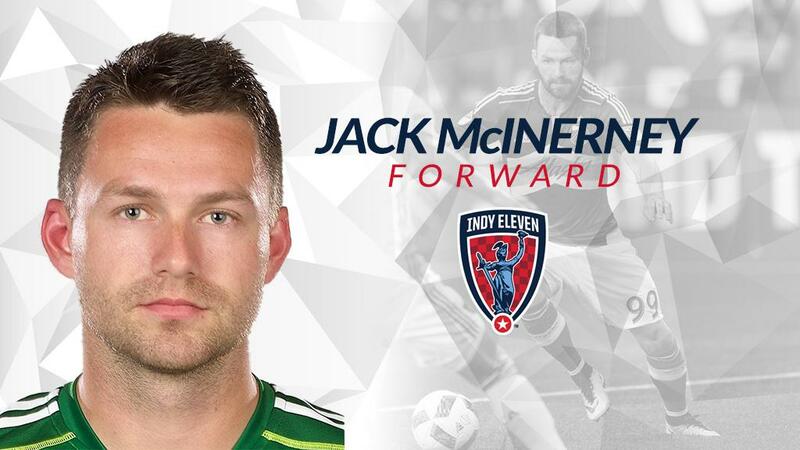 Youth U.S. Soccer U-17 Residency standout joins "Boys in Blue"
Indy Eleven Professional Soccer announces the signing of forward Jack McInerney from Major League Soccer’s LA Galaxy to its 2018 roster pending league and federation approval. McInerney signed his first professional contract after being drafted seventh overall in the 2010 MLS SuperDraft by Philadelphia Union from the U.S. Men’s National Team Under-17 Residency Program in Bradenton, Florida. Other notable members that shared residency with McInerney in the U.S. Soccer program include Indianapolis-native Perry Kitchen and former Indy Eleven player Victor Pineda. Since 2010, McInerney has scored 43 goals in 175 appearances during stints with MLS clubs Philadelphia Union, Montreal Impact, Columbus Crew SC, Portland Timbers and LA Galaxy. By late 2015, McInerney ranked second in MLS history in scoring the most goals by the age of 23 with 36 goals to his name. Moreover, McInerney has been featured in several call-ups to the United States Men’s National Team’s U-17, U-20, U-23 and Senior squads.